Get the latest Farmer Mac program interest rates, upcoming class offerings and weekly blog articles! Farmer Mac was established under federal legislation enacted in 1987. It's purpose is to provide long term fixed and variable rate financing on farm and ranch land and agricultural facilities. Pactola is proud to be a part of the nationwide network of lenders that offers attractively-priced mortgages readily available. Whether you are planning to purchase or refinance an agricultural property or a business serving a rural clientele, it's to your advantage to explore the Farmer Mac option. Farmers and Ranchers can benefit from the variety of financing options offering competitive interest rates and terms by Farmer Mac. 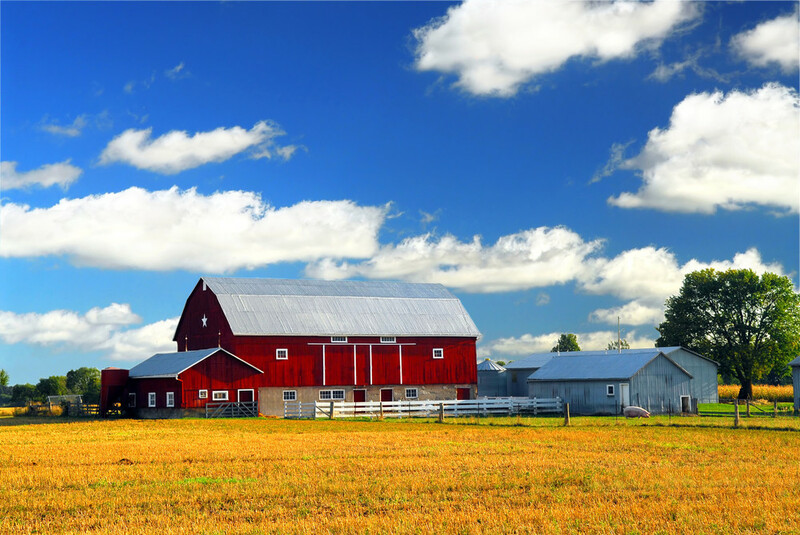 Eligible properties include farmland and ranch land; eligible commodities are those listed on the USDA website (Click here). Properties may be improved by buildings (including residences), fixtures and equipment or other structures permanently attached to real estate. No minimum or maximum acreage is required, but if the property is less than five acres, there must be $5,000 minimum annual gross sales of agricultural products from the property. Mortgage Amount maximums are typically $11 million, although large loan requests of up to $30 million may be accommodated in cases of highly improved or valued properties of fewer than 1,000 acres. The maximum aggregate loan for any one borrower or related borrower is $30 million. Loan Types offered by Farmer Mac can be fixed or variable rates. Variable rates can fluctuate monthly or on a one, three, five, ten, 7/1 or 10/1 year basis. Fixed rates can be locked for seven, ten, fifteen, twenty or twenty-five years. Amortizations can run up to thirty years. Farmer Mac also offers a AgEquity Line of Credit. This gives the farmer or rancher a 5 or 10 year draw period followed by amortized repayment of 10, 15, 20 or 25 years with a total term of 30 years. The only money due during the draw period is interest on a semi-annual basis paid on January and July 1st. There is no annual maintenance fee and no minimum usage required. The interest rate fluctuates monthly during the draw period and can be modified to another FM available fixed or adjustable rate. Eligible Borrowers include U.S. citizens or national aliens lawfully admitted for permanent U.S. residence. Private corporations and partnerships are also eligible where members, stockholders or partners holding a majority interest in the entity are U.S. citizens or aliens lawfully admitted for permanent U.S. residence. Lenders will find the Farmer Mac programs offer a variety of competitive tools to better manage their balance sheet as the Farmer Mac loans are sold into the secondary market. This allows lenders to better manage concentration risk while still keeping the customer relationship on the real estate debt. The lender can off-load their real estate term debt. FM loans have rates and terms very favorable to borrowers. Lenders also can benefit from income at origination and throughout the life of the loan. These loans are exempt from the credit underwriting, collateral valuation, documentation and other standards that are required under the Farmer Mac Farm and Ranch Program loans. Pactola, as an approved seller to Farmer Mac, can help you manage your balance sheet and maintain the member relationship with this competitively-priced program.